The Blue Spark Digital ($127.74 on Amazon) is a handy little condenser microphone that’s much smaller than its better-known big brother, the Blue Yeti. 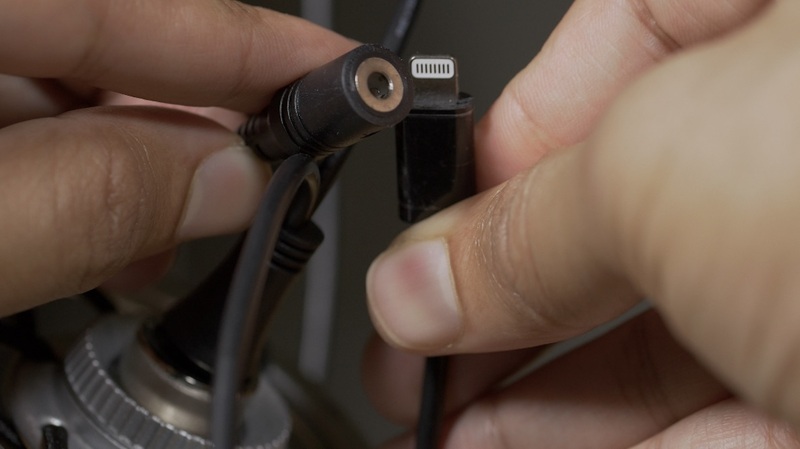 While the Blue Yeti excels at a lot of things, and can handle a wider variety of applications than the Spark Digital, the latter has one big advantage—the ability to directly connect to an iOS device via the included Lightning cable. Just try to connect your Blue Yeti to your iPad, and you’ll be quickly met with the dreaded “this device uses too much power” message. You’ll see no such ominous messages when using the Blue Spark Digital, because it was made with iOS, specifically the iPad, in mind. 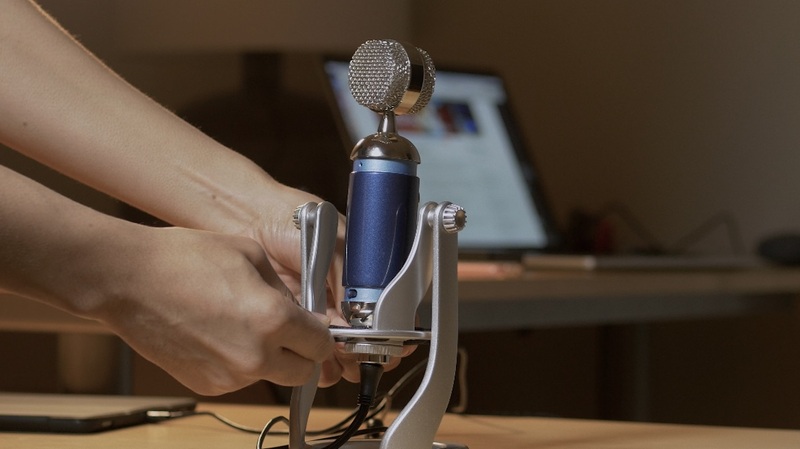 Although this microphone lacks the versatility of the Blue Yeti, most users will be more than satisfied with the sound quality for things like podcasting and voice-overs. The Spark lacks the varied polar patterns of Yeti, and thus can’t be used as an all-in-one microphone, but for a one-man gig, it’s almost perfect. 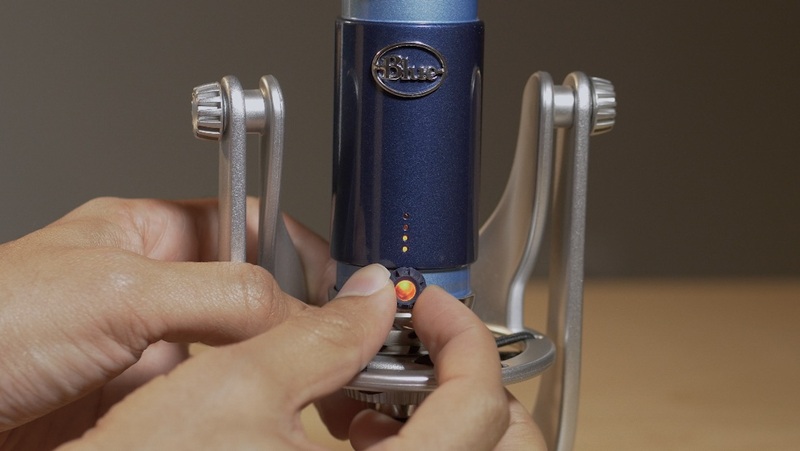 The Blue Spark Digital does not come with a pop-filter, which is a necessity for things like podcasting and voice-overs. 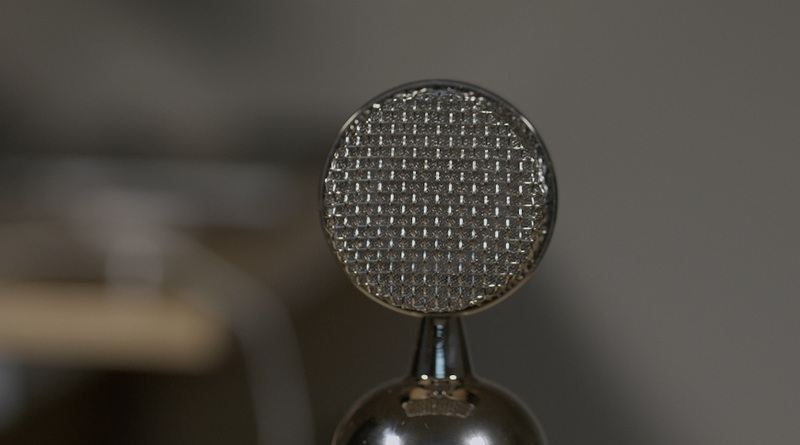 Only recently updated Spark Digitals feature the necessary threading on the rear of the microphone to properly fit Blue’s custom-fit pop filter, which can be had separately. I contacted support, who asked me to provide a picture of the rear of the device, and sure enough, my Spark Digital lacked the properly threaded hole. Blue did offer to provide me with threading service, which would require me to ship the microphone to them at no cost. The bottom line is that this microphone needs a pop filter. You can, of course, use your own pop filter, but the one provided by Blue is custom designed to work with the Spark Digital, and will probably look a lot better than most other solutions. In the meantime, I’ve been resigned to using one of my wife’s socks on the end of the mic. It generally does a good job of preventing plosive sounds from reaching the microphone’s capsule. It’s not the prettiest solution, but until the issue with the missing thread is resolved, it’s going to have to work. 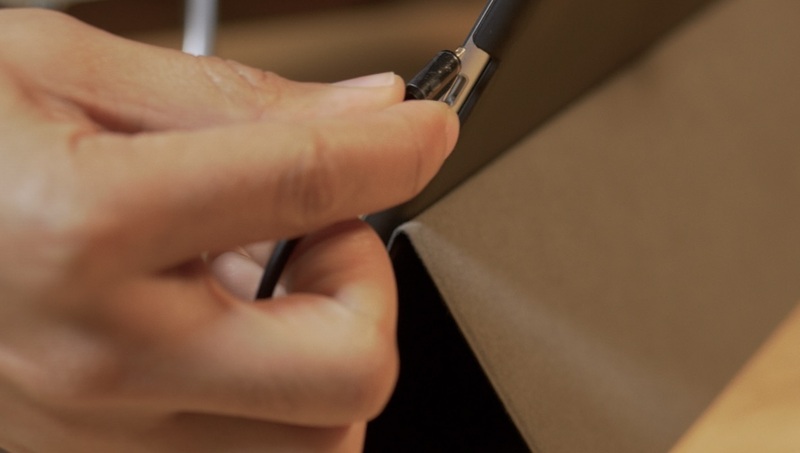 The two Y-cables that ship with the Blue Spark Digital are identical, except one cable features a standard USB connection for a desktop computer, and the other cable features a Lightning connection for an iOS device. Both cables are about 9′ long, which provides plenty of room to position and maneuver the Blue Spark Digital in a place that works for your recording workflow. Each cable features a 3.5mm headphone input jack for zero-latency monitoring. This means that it’s possible to directly monitor the microphone’s input without relying on software. If you’re recording podcasts or doing voice-overs, then its absolutely essential to have a decent monitoring setup, and zero-latency is really the only way to go in that regard. Sadly, I found that the Lightning cable shipped to me with a short. I don’t know if this is due to the way Blue packages the cables, but it’s there, and it’s very annoying. Ultimately, I’m going to have to get one or perhaps both of these cables replaced due to shorts. It doesn’t look like Blue sells the cables on Amazon or anywhere else, so that’ll probably require another service request. 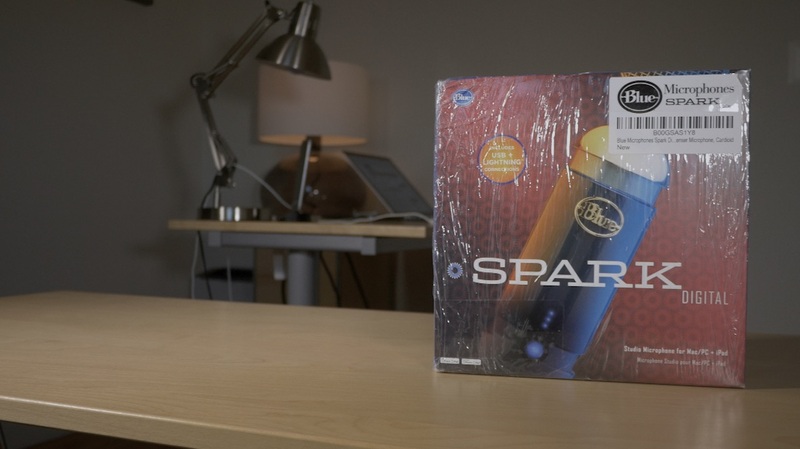 Blue generally casts solid products, and the Blue Spark Digital is no exception. 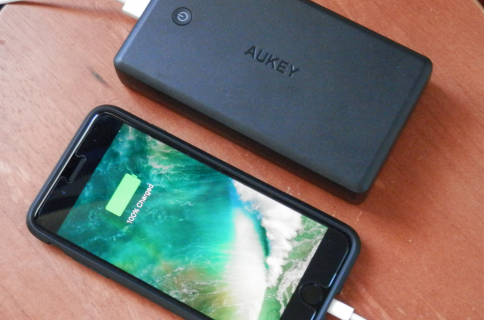 It features a solid feel with plenty of heft. 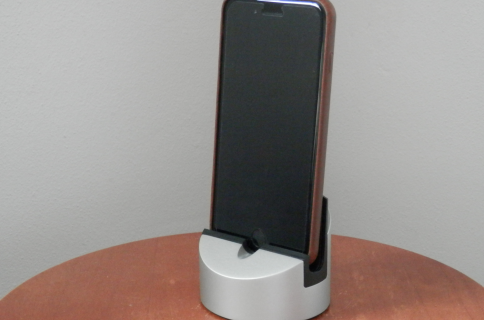 I’m not a huge fan of how the microphone waddles around like a bobblehead doll while screwed into the shock mount on the stand, but I understand that that’s the price you pay when desirous of a small form factor like this. The Blue Spark Digital features a candy-paint finish with speckles. It looks very much like a paint job on a vehicle, and the look is enhanced by the chrome that houses the microphone diaphragm. That said, I did notice some blemishes on the paint that makes it look like the manufacture did a half-hearted paint job and didn’t pay attention to the details. Perhaps I’m being nitpicky, but I expect my $200 purchase to look pretty much flawless. To me, this is the best part of the Blue Spark Digital, and fortunately, the best part is the most important part. The sound quality of this microphone is phenomenal. It’s certainly better than anything you could hope to achieve by using the built-in microphone on your Mac or iOS device, and to tell the truth, it sounds better than most of the plug and play microphones that I’ve used over the years. The microphone features an all-in-one button for adjusting headphone volume for monitoring and muting. By long-pressing the button, you can toggle to gain adjustment. Both gain and volume are displayed by means of the four LED lights gracing the front of the Spark Digital. In the normal position, the Spark delivers a sound with extended top and low end frequencies – a crisp, powerful sound. With the Focus control engaged the midrange frequencies standout creating a warm tone – a more direct, present sound. I’ve tried recording with focus control engaged and disengaged, and I prefer the sound when the switch is turned on. 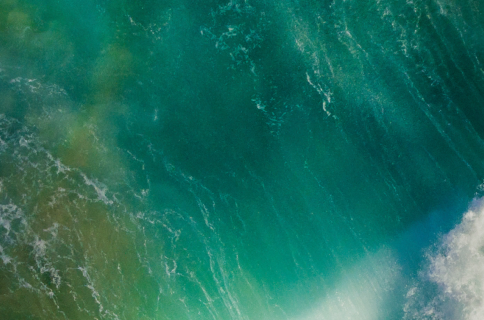 The reason I even considered the Blue Spark Digital in the first place, is due to its direct iOS connectivity. Thanks to the included Lightning cable, I can plug the Spark Digital directly into my iPad Pro’s Lightning connector. There aren’t many microphones out there that allow for a direct connection to the iPhone or iPad, and for those that do, sound quality is a mixed bag. The Blue Spark Digital, however, features an easy to use plug and play setup that sounds really good. You’d be hard pressed to find a microphone in this price range that features direct iOS connectivity, contains all of the aforementioned features, and sounds nearly as good. All of this for under $200 is a steal if you ask me. I just wish that Blue was a bit more proactive with its customer service. It’s been several days since I reached out to them, and I haven’t heard anything back yet. Blue seems more than willing to work with me on the threading issue, and hopefully they’ll be willing to replace my cables as well. I’d hate to have to return this microphone, because despite a few negatives, it’s a wonderful value if I can get some of the kinks worked out. You can purchase the Blue Spark Digital for $127.74 on Amazon.